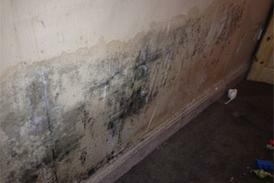 Damp issues can often be resolved by accurately identifying the cause of the damp, and taking appropriate measures to manage and rectify it. Problems typically stem from external landscaping or obstructed ventilation in walls, floors or windows, and while internal tanking or injecting a silicone damp-proof course may conceal the symptoms of damp, long-term damage may still occur if used incorrectly. Our independent damp reports are dedicated to ascertaining the cause of damp without any commercial bias. If a correction measure is required, we can advise on possible solutions and suggest reliable contractors to complete the work.